Florida is home to some of the most spectacular inshore fishing in the world. That statement holds true throughout the state, whether you’re in the panhandle and west coast fishing the Gulf of Mexico or the east coast fishing the mighty Atlantic Ocean. 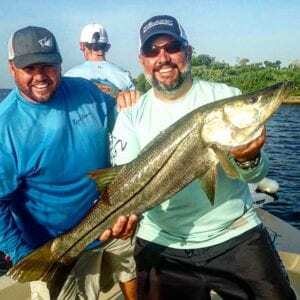 The year-round fishing brings in anglers from all across the globe to chase redfish, snook, tarpon, trout, etc., etc; the list goes on. One particular bragging right is what is known as a slam. An inshore slam is when you catch a variety of inshore species within one day. These slams vary depending on where you are in the state. For instance, if you’re fishing in the panhandle, your inshore slam of the day would be: redfish, spotted seatrout and flounder. 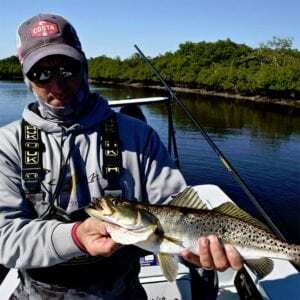 However, further south, the slam changes to redfish, snook and trout. 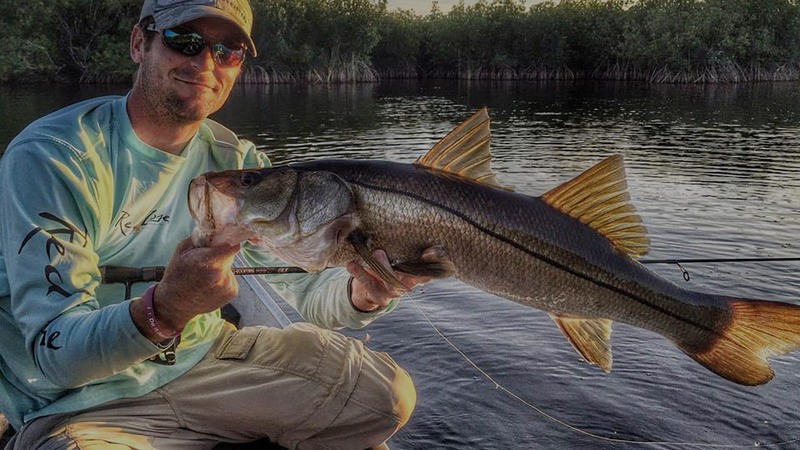 The reason for the change is because the panhandle area of Florida has no snook, therefore making it impossible to complete a more southern slam. Inshore slams aren’t the only type of slams that can be caught. Slams vary depending on where you are and who you ask. Some of them get quite creative. Stay tuned for some of the different slams you can find, but for now, we’re going to focus on the redfish, snook and spotted seatrout slam aka the Inshore Grand Slam. There are many places throughout Florida to catch an inshore slam consisting of redfish, snook and trout, but none quite as productive or beautiful than Boca Grande. Boca Grande is located in southwest Florida and is situated on Gasparilla Island; one of many barrier islands that line the coastline. The Peace River and Caloosahatchee River both empty into the Gulf of Mexico just behind these islands giving the water a freshwater influx which is important for the area to thrive. Boca Grande, which is Spanish for big mouth, is named so due to Boca Grande Pass, the mouth of the waterway, located at the southern tip of Gasparilla Island. Boca Grande is known for its sugar sand beaches, blue water, historic downtown, and most importantly, its world class fishing. The bays, estuaries and small islands that litter the waters behind Boca Grande provide a paradise to the inshore grand slam species list. Within these shallow backwaters are oyster bars and vast seagrass beds which give these fish plenty of food and ideal habitat to thrive in. Average depth of these inshore bodies of water hovers around 2.5 feet, but varies depending on tides. A shallow water skiff is ideal when cruising the 129 square miles of shoreline giving you a competitive edge when chasing down fish. This whole area has the potential to hold fish at any given time of the year, so choose your locations wisely. Although all fish can be caught anywhere within the backwaters, some locations provide better habitat than others for different fish. When targeting redfish, check oyster bars and creek mouths, as these areas will provide the best food opportunities for hungry redfish. The redfish’s main diet consists of crabs, shrimp and mullet. Use similar baits or artificial lures that mimic the area’s baitfish. Spotted seatrout can usually be found cruising the grass flats, deep channels or mangrove lined shores. Seatrout are ambush predators, so focus on seagrass beds with sandy patches, or potholes, which makes ambushing their next meal easier. Again, focus on mimicking the bait that is in the water during the time of year that you are targeting them. Snook can be located around structure such as reefs, pilings, mangrove shorelines or oyster bars. Snook are opportunistic feeders and will often times face into the current to wait for unsuspecting food to be washed down toward them. Once hooked, snook are known for their acrobatic capabilities and making long runs. This makes them a highly sought after game fish. That’s your inshore grand slam. All three species make great table fare and are a blast to catch. But if you’re looking for a bit more of a challenge, then throw Tarpon into the mix. You now have yourself a SUPER grand slam. Boca Grande boasts being the Tarpon fishing capital of the world! 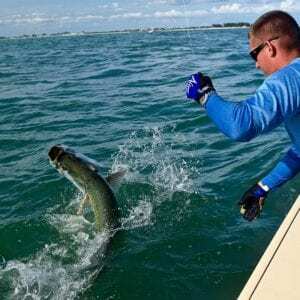 In a typical 80 day fishing season in Boca Grande, roughly 5,000 tarpon are landed which is more than anywhere else in the world. Book a trip with Silver Lining Charters and the inshore super grand slam could be yours! Inshore grand slam isn’t the only type of slam that can be had. There are grand slams for offshore species as well. Take the pelagic slam for instance. That’s King mackerel, mahi-mahi and wahoo. Or a nearshore grand slam: King mackerel, cobia, wahoo and Spanish mackerel. There are even slams for the unlucky fishermen out there. The trash can slam is a combination of ladyfish, catfish, jack, pufferfish and lizardfish. Collecting a trash can slam can be just as fun when the fishing is slow. Now go out there and see how many slams you can collect!